In 2011, all 193 member states of the United Nations agreed to officially recognise happiness as a fundamental human goal 2. One year later, the first UN conference on happiness took place where it was decided that an International Day of Happiness would be celebrated annually on 20th March2. This year marks the sixth United Nations International Day of Happiness since its launch in 2013 by the Action for Happiness movement and other like-minded partners2. The theme this year is ‘Happier Together’, which is designed to remind us to focus on the things that people have in common, rather than those that divides us3. International Day of Happiness provides an opportunity to reflect on how we are prioritising and improving happiness in our personal and working lives. So, how happy are we? 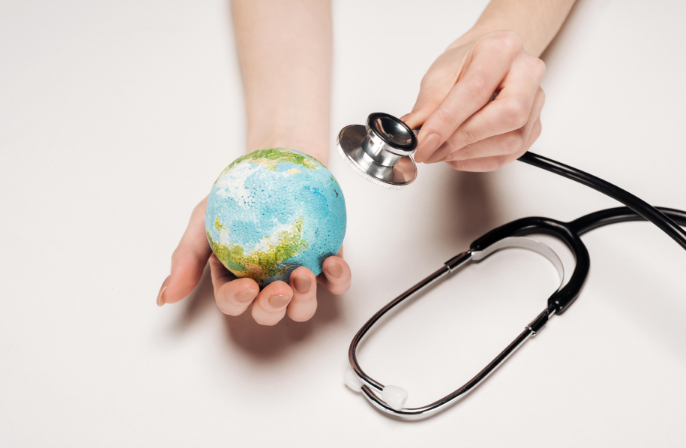 According to the World Happiness Report 20184, which ranks the happiness levels in 156 countries, the five countries with the highest happiness levels are Finland, Norway, Denmark, Iceland and Switzerland5. Several factors were found to have contributed to the high happiness levels including freedom, generosity, health, income and good governance5. The United Kingdom was ranked 19thhappiest4,5. The importance of achieving happiness, as well as economic growth, has been recognised globally and the UN have adopted a resolution to strive for “a more inclusive, equitable and balanced approach to economic growth that promotes the happiness and well-being of all peoples”2. Countries across the globe have implemented different strategies to prioritise happiness2. Bhutan, for example, has set a goal to prioritise Gross National Happiness over Gross National Product6. There are multiple ways, both big and small, that people can get involved in International Day of Happiness. Ideas and quotes are available on the International Day of Happiness website, which can be shared on social media accompanied by the hashtag ‘#InternationalDayOfHappiness’7. Additionally, individuals can take the Action for Happiness pledge which states, “I will try to create more happiness and less unhappiness in the world around me”8. What is the real key to happiness in the work place? Employers can implement various schemes and perks to create a happier work environment ranging from game rooms at Google, unlimited vacation policies at Virgin and Netflix and $2000 of travel credit each year for Airbnb employees9,10. However, it’s important to look to the evidence to find out what really makes employees happy in their jobs. Research around job satisfaction and engagement shows that the most important aspect for job satisfaction is respectful treatment of all employees, at all levels11. Although closely followed by pay and benefits, the way individuals were treated in the workplace came first and this is something that every employee can contribute towards11. How do we make Porterhouse a happy place to work? It is important to reflect on how we can share happiness and nurture relationships with those around us in our own lives. 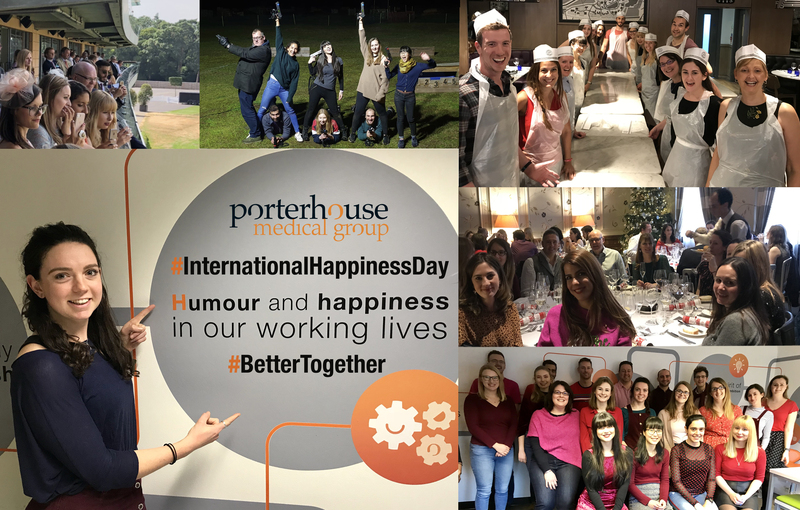 At Porterhouse, we have an open and supportive culture which helps us to progress through challenges and grow together. One way that we share our appreciation for one another is through our Living Our Values Everyday (LOVE) awards. LOVE awards are given to employees who have demonstrated commitment above and beyond their normal set of responsibilities. There is also additional support available for all employees, for example, through our membership to the mental health charity, Mind. 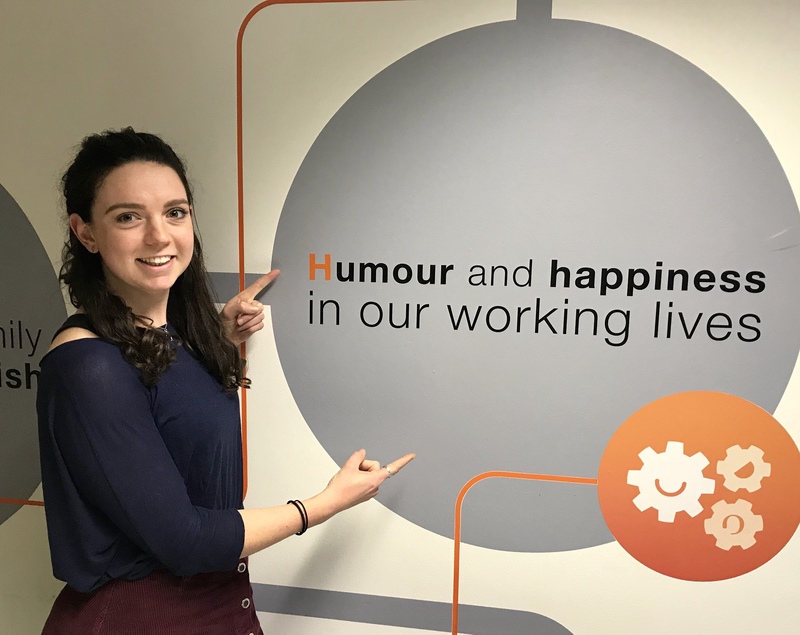 As well as providing a supportive environment for everyone to work in, we also like to focus on having fun and sharing a sense of humour. A great way for everyone to come together as a team is through our regular socials, which have included pizza and quiz nights, laser tag and a day out at Ascot Racecourse. In addition, to mark International Day of Happiness, we will be giving special attention to one of our most important values, “humour and happiness in our working lives”. To find out more information about International Day of Happiness, visit: https://www.dayofhappiness.net/about/. Sustainable Development Goals. About the sustainable development goals. Available at: https://www.un.org/sustainabledevelopment/sustainable-development-goals/. International Day of Happiness. International day of happiness. Available at: https://www.dayofhappiness.net/about/. Accessed March 2019.
International Day of Happiness. Happier together. Available at: https://www.dayofhappiness.net/#join. Accessed March 2019. World Happiness Report. World happiness report 2018. Available at: https://s3.amazonaws.com/happiness-report/2018/WHR_web.pdf. Accessed March 2019.
International Day of Happiness. World happiness report. Available at: https://www.dayofhappiness.net/report. Accessed March 2019. United Nations Ukraine. The pursuit of happiness is a fundamental human goal. Available at: http://www.un.org.ua/en/information-centre/news/1584-2013-03-20-12-40-59. International Day of Happiness.Share happiness. Available at: https://www.dayofhappiness.net/share. Accessed March 2019. Action for Happiness. Take the action for happiness pledge. Available at: https://www.actionforhappiness.org/take-action/take-the-action-for-happiness-pledge. Accessed March 2019. Fast Company. Employers, your idea about employee happiness is all wrong. Available at:https://www.fastcompany.com/40582655/employers-your-idea-about-employee-happiness-is-all-wrong. Accessed March 2019. Top 10 coolest company perks in the UK. Available at: https://advice.milkround.com/top-10-coolest-company-perks-in-the-uk. Accessed March 2019. Employee Job Satisfaction and Engagement. Executive summary. Available at: https://www.shrm.org/hr-today/trends-and-forecasting/research-and-surveys/Documents/2016-Employee-Job-Satisfaction-and-Engagement-Report-Executive-Summary.pdf. 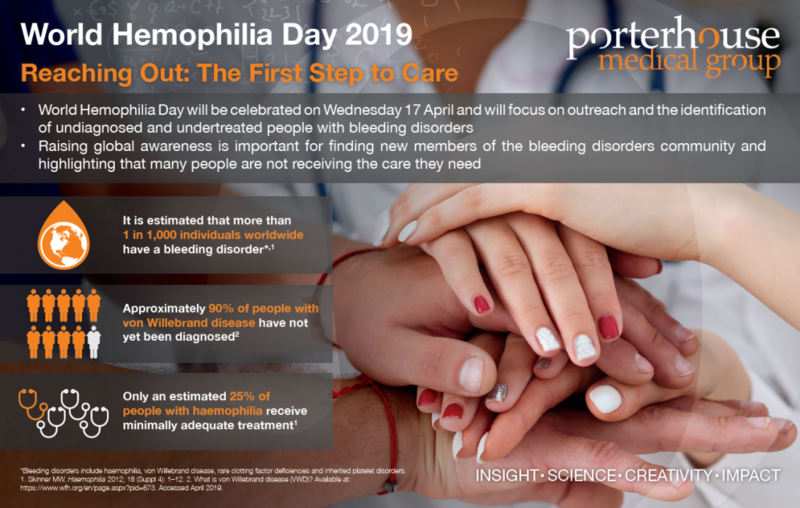 Accessed March 2019. Next postNext article: Rewarding excellence within Porterhouse Medical’s scientific services team.